Aztec Marine Agencies, Inc. carries over 120 years of first hand experience. Full Vessel Agency Attendance, Ship Husbandry Service, Maritime & Port Security Services, Bulk Product Loading & Unloading, Cargo Operations Service, and MORE! Family owned & operated company that prides itself in being thorough, and delivering upon all expectations! Whether your business is just one ship, or you have an entire fleet of vessels, when you’re in port you need reliable maritime services from an agency you can trust. At Aztec Marine Agencies Inc, we’re a full-vessel steamship agency and have more than 53 years of experience in the maritime industry. 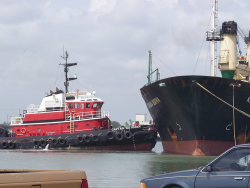 We’re a family owned and operated independent steamship agency located in Beaumont, TX which makes us different from the other big-box chain steamship agencies operating today. Unlike them, we pride ourselves on giving you the unparalleled customer service and knowledge that only 120 years combined of first-hand experience can bring. No matter what type of services you require when your vessels are in port from freight forwarding, to port security, to full-service ship husbandry, Aztec Marine Agencies, Inc has the experience and established relationships with both local and government agencies to keep your operations running smoothly and within compliance of all government laws and port regulations. Why Choose Aztec Marine Agencies, Inc.
We’re a full-vessel agency that specializes in all aspects of ship husbandry including management of crew changes and the operation of product tankers, liquid petroleum gas, liquid nitrogen gas, dry-bulk cargo, military cargo, and container ships. We have experience in all United States Customs and Border protections, Coast Guard policies, and other government regulations that affect ships, crew, and cargo. We are an affiliated member of the local Chamber of Commerce, Transportation Club, and the West Gulf Maritime Association. Our company has government compliant solutions. We provide and coordinate a wide variety of additional maritime services including freight forwarding services, maritime and port security services, and salvage company alignment services. At Aztec Marine Agencies, Inc, we’re here to handle all your vessels movement and cargo in port. We protect your interests while your vessel is in port, including any repairs and salvage. Plus we can help with any inshore or offshore salvage operations, including groundings. We’re available by phone 24 hours a day, seven days a week, including holidays, no matter if our office is closed. For reliable maritime services in the Gulf from a family operated full-vessel agency, contact Aztec Marine Agencies today. Aztec Marine Agencies, Inc. is an industry leader in assisting Principals to ensure full compliance with local, state and federal regulations. The complexities of regulations at all levels continue to increase in scope, with the escalation of fines and delays representing a growing problem for ship owners and charterers worldwide. Aztec Marine Agencies, Inc. provides proven solutions to our Principals. Aztec Marine Agencies, Inc. internationally-renowned vessel attendance policies ensure the fast, accurate handling of all details for ships that engage Aztec Marine Agencies, Inc. – expediting ship arrivals and departures, loading and unloading, and all ship operations in port. 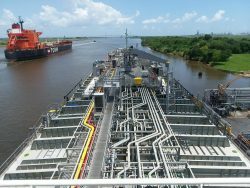 Aztec Marine Agencies, Inc. offers a wide range of additional services for ships and crew including, but not limited to, the areas of ship repair, crew medical needs, and cargo disposition.